Great Britain Under-20s head coach Slava Koulikov has named his squad for January’s IIHF World Championship Division II Group A in Tallinn. 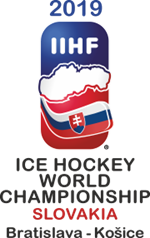 GB meet hosts Estonia, as well as Korea, Lithuania, Romania and Spain from 13th to 19th January 2019 at the Tondiraba Ice Hall. Britain start the six-team tournament against Lithuania on 13th January and then play Korea the following day. Koulikov said: “I think we have a very strong squad and we have strength all across the ice. “The camps over the last few months have been very competitive and picking the final roster was a tough job for the coaches. “It shows the strength in depth we have in the Great Britain junior set-up at the moment.